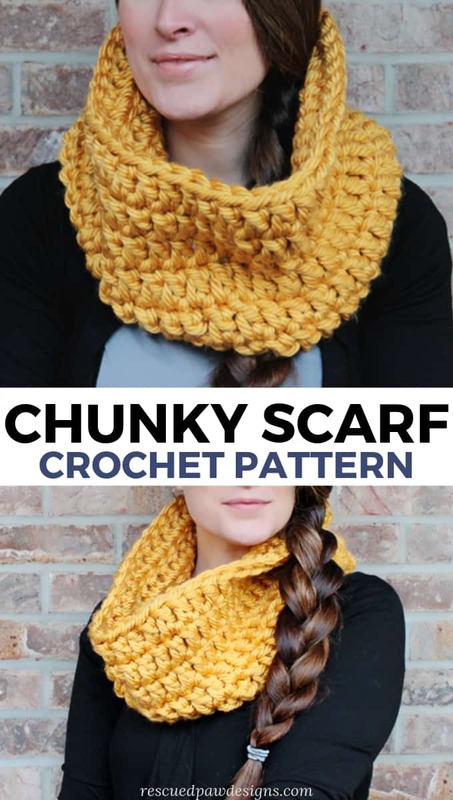 This crochet chunky infinity scarf pattern made with bulky yarn is so easy to whip up and will keep you warm all winter long! 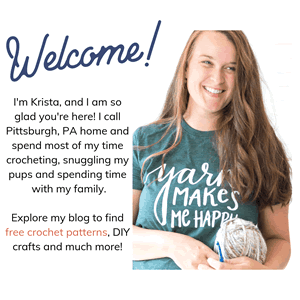 If you love easy crochet patterns then this one is for you! I chose this bright yellow color because I am from Pittsburgh. I mean what other color could I pick? 😉 If you’d like to make your very own chunky crochet infinity scarf then read on down to find the full pattern! 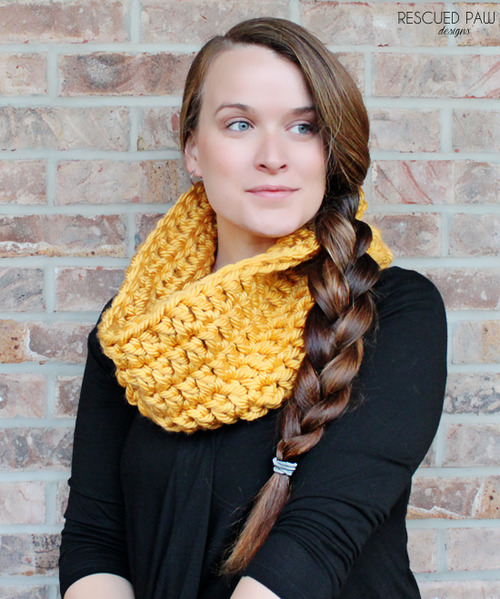 Chunky Infinity Scarf is perfect for beginners! 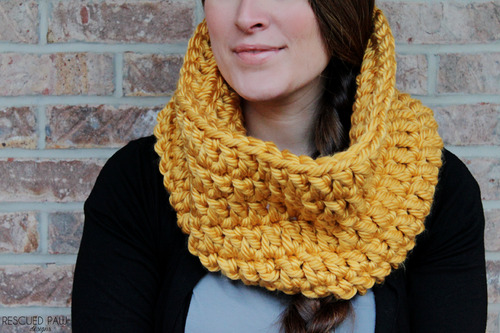 This infinity scarf design was made with beginners in mind and would be a great first project! 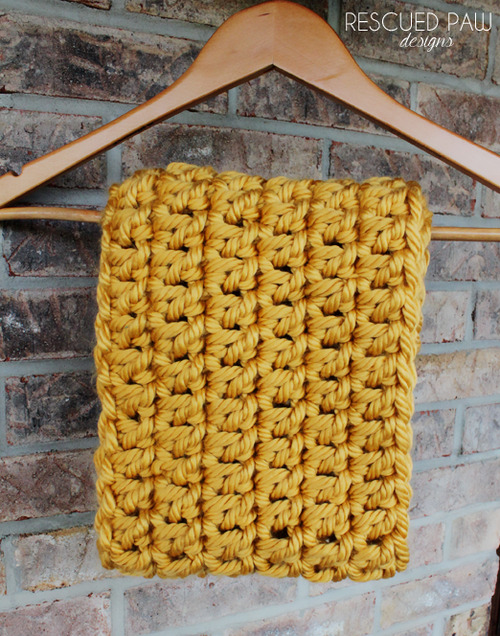 The whole easy crochet pattern use only a double crochet stitch and works in the round. If you haven’t worked in the round yet do not worry! You WILL be able to do this! Promise! As a bonus this scarf can be finished up in about an hour because of the squishy soft Bernat Mega Bulky Yarn! Seriously, just one hour and it’s ready to wear out the door! 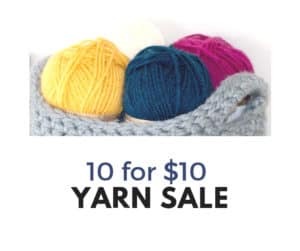 If you can’t find this yarn then I suggest using Lion Brand Yarn Thick & Quick as a great replacement. 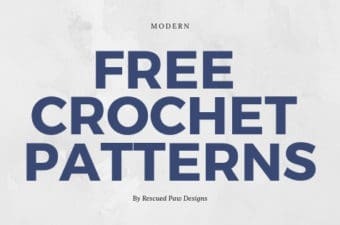 If you are ready to make this simple and free chunky crochet infinity scarf then keep on scrolling down to get started with this free crochet pattern. Gauge is 5 double crochets for every 4 inches. 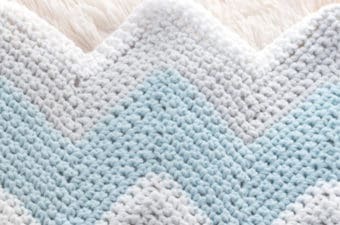 Do not double crochet or slip stitch into the chain 3 of every round! You will need to crochet loosely with this yarn if you crochet tight it will end up very heavy and stiff. ROUND 1: Chain 3, starting in 4th chain from the hook double crochet, double crochet in every chain around, slip stitch to top of the first double crochet of the round. ROUND 2: Chain 3, starting in first stitch double crochet, double crochet in each stitch around, slip stitch to the top of the first double crochet of the round. ROUND 3-7: Repeat Round 2 for a total of 5 more rounds. Fasten off and weave in loose ends with a yarn needle. Finished Size is approximately a 36 inch circumference and 9 inch width. 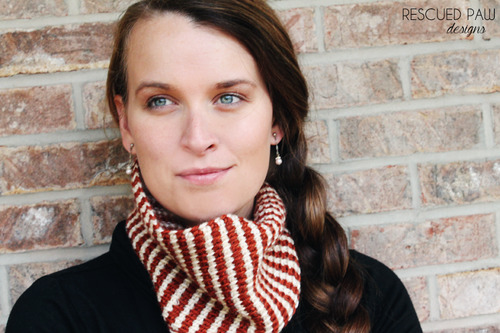 Or my Tunisian Cowl Pattern. 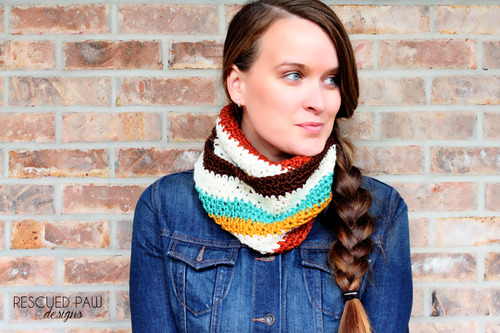 I hope you enjoyed this Chunky Crochet Cowl pattern and if you have any questions, please feel free to ask! Want to Stay Connected? 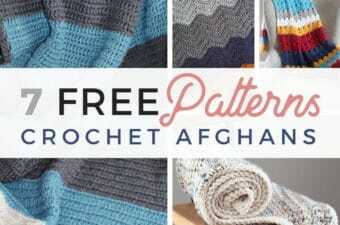 Join me on Pinterest to know when all my patterns are released. 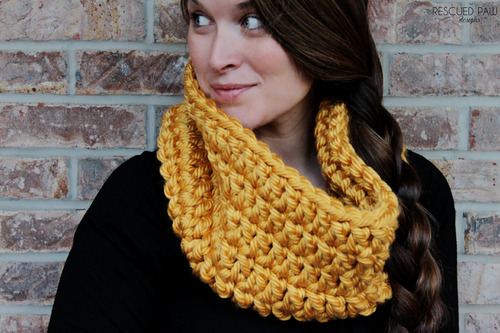 Make the Chunky Cowl Infinity Scarf Pattern Today!